60 DAYS REPLACEMENT. 60 DAYS REFUND! 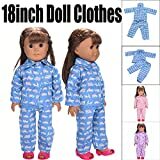 If you often worry about your children playing cell phones, watching TV, and playing games, then you definitely want something that can divert your child's attention. This telescope allows children to more clearly and directly touch nature, understand the world around them, and learn a lot of interesting things! Divert your child's attention and let the child fall in love. This is for sure! As a telescope used by children, we have a responsibility to ensure the safety of materials. 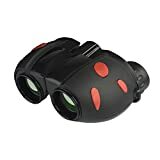 This binoculars are made of non-toxic natural rubber material and contain soft rubber surround eyepieces to protect the eyes. Through long-term tests and improvements, we designed rubber bands around the eyepieces and objectives to prevent shocks. Our binoculars can withstand multiple drops. 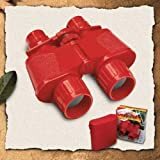 It is not only a toy binoculars for children, it is also a useful tool to explore nature and discover the beauty of nature's creatures: Join us to explore nature! This is definitely a telescope worthy of your own. What are you waiting for? 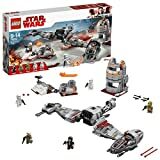 Buy it for your child! Super Safety - Soft rubber surrounded eyepieces are included for eye protection so children don't hurt their eyes or face. Rubber grip design make child can catch the binoculars more steadily, cool neck strap can prevent binoculars fall accidentally while using. All is customized for kids safety. Other brands do not have this safety feature! Shock Proof - Durable binoculars that can withstand drops and falls on floors due to rubber coating that absorbs shock. If accidentally dropped on the ground, the binoculars are protected from damage with shock proof rubber armor. Other brands do not have this safety feature! 60 DAYS REPLACEMENT. 60 DAYS REFUND! Child Friendly Design - The binoculars can be adjusted to easily match the eye distance gap for each child. Non-slip scratch, the grip has been ergonomically patented designed to fit the hands of children. It is easy to focus, and they can adjust to adult eyes just as well as kid-sized eyes. Crystal Clear View - The FMC prism green coated optics system can control optical reflection to create crisp and colorful images. The product ensures the user can see the entire visual field for capturing objects easily with 7.2° viewing angle. Multi-layer broadband coating technology, make you see the scene more realistic. The leaves of a tree 100 yards away came into sharp focus. 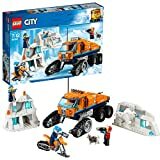 Best Gifts - Grab something different gifts for kids today! 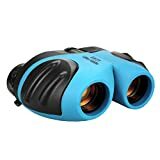 Our Kids Binoculars is a prefect gifts for kids. 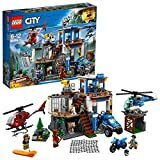 Great playing toys as your special gifts for kids, your friends or family members. Great festivals gifts, birthday gift or visit gift and suit for any outdoor activities. It's also a good toy to your 3-12 years old kids, nephew, niece, granddaughter, grandson etc, funny and amazing, you kids would definitely love it! 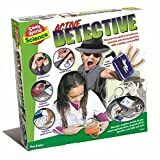 Grafix Secret Agent Mega Spy Kit - Detective Toy!